Solar thermal technology uses the sun's energy to generate low-cost, environmentally friendly thermal energy. 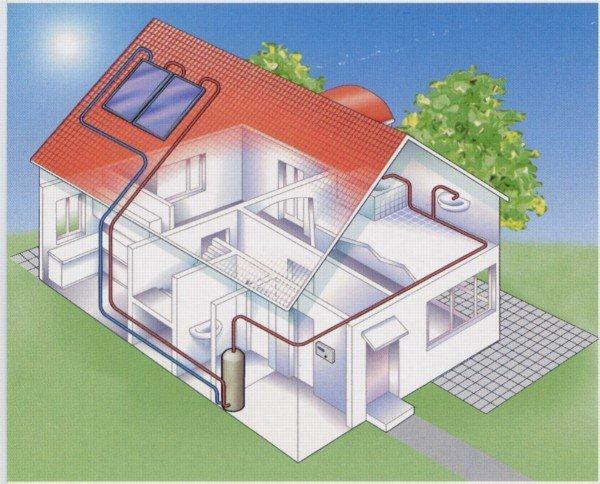 Solar thermal systems differ from solar photovoltaic (PV) systems, which generate electricity rather than heat. Solar thermal systems use solar energy to heat fluids, reducing utility bills by up to 70%. SolarWorks NJ is now offering solar hot water systems. Most people don't realize how much energy they consume and waste with conventional hot water heaters. Our solar water heaters will pay for themselves in 3 - 5 years, and provide plenty of hot water for years to come.